E) 15 MILES SOUTH OF EUSKIRCHEN. F) CAVU, VISIBILITY, 20 MILES. 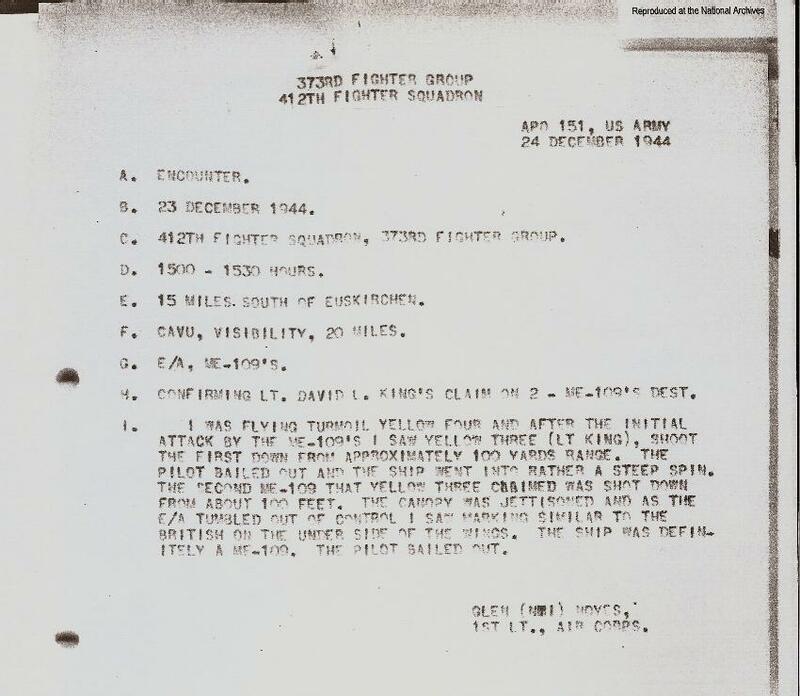 H) CONFIRMING LT. DAVID L. KING'S CLAIM ON 2 - ME-109'S DEST. PILOT BAILED OUT AND THE SHIP WENT INTO RATHER A STEEP SPIN. ITELY A ME-109. THE PILOT BAILED OUT. 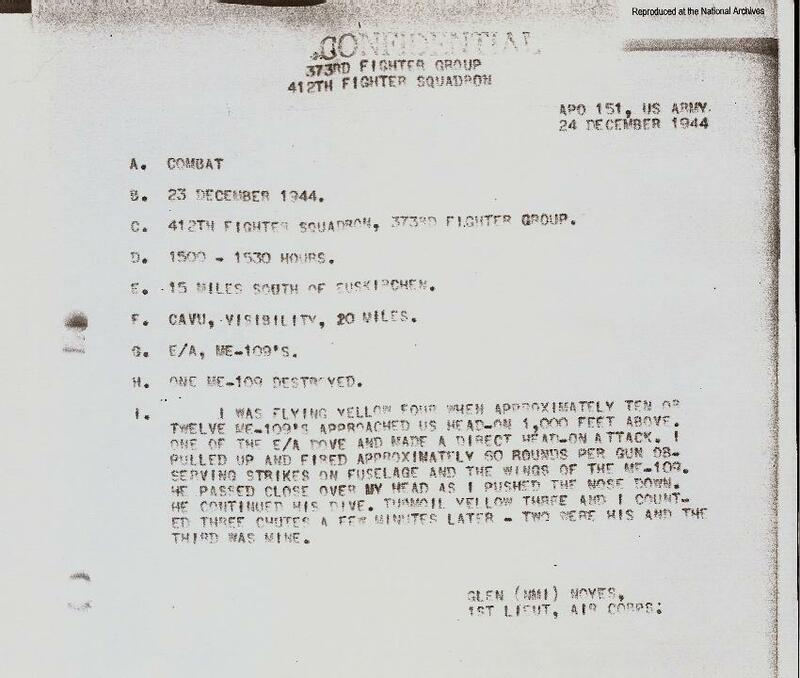 TWELVE ME-109'S APPROACHED US HEAD-ON 1,000 FEET ABOVE. SERVING STRIKES ON FUSELAGE AND THE WINGS OF THE ME-109. HE PASSED CLOSE OVER MY HEAD AS I PUSHED THE NOSE DOWN.